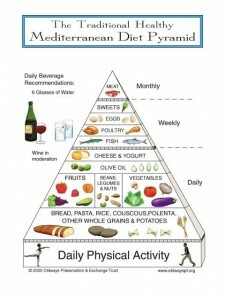 Whilst there is no one ‘mediterranean diet’, the most acknowledged mediterranean diet is a modern diet based on the diets found in the costal regions on southern Italy, Crete and parts of Greece in the 1960s. 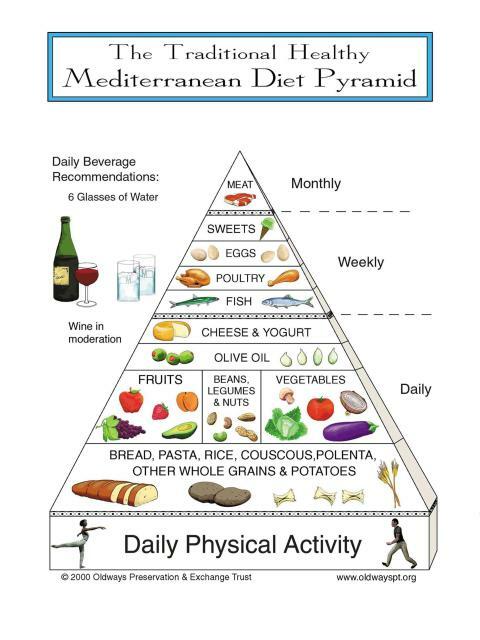 On November 17th 2101, UNESCO recognised the Mediterranean diet as part of the intangible cultural heritage of Spain, Greece, Italy and Morocco. The Mediterranean diet, in addition to regular physical activity emphasises eating healthy foods and drinks that have traditionally been consumed by people living in areas bordering the Mediterranean Sea, including raw, unprocessed or lightly cooked foods. This contrasts with a typical industrial diet comprising of highly processed or fried food. For more information on this diet we recommend you visit the Oldways website.